Last night jugak , I made tiramisu cake for my friend " caen", actually he was my hubby's assistant. I was keen to made cake to him since last year. 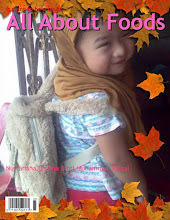 But never tertunai because of many reason..most of it because of my child health. Sometimes they get sick..I couldn't stay up night to baking cake. Last night pon I slept around 2.30 am..hehe..kalau baking punya pasai tara ngantuk punyerrr...Sian my neighbor late night dok bau cake...muahhhhaaa...oklah I think no need to write the recipe here. Coz i'm using same recipe before...ok!..